The 114th Congress completed its work in a “beat the clock” enactment around 11:30 pm on Friday evening, December 9 by the Senate passing a Continuing Resolution (CR) just 30 minutes before the government would have shut down. 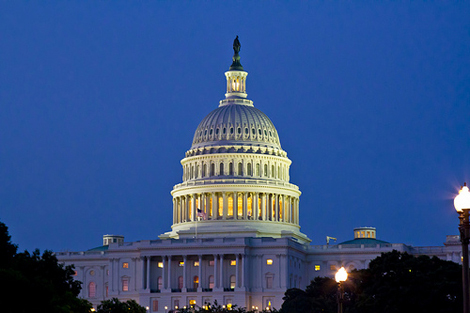 That Continuing Resolution will keep the U.S. government operating through April, and without enacting the provisions of the Medicare O&P Improvement Act (H.R. 1530/S.829). As the saying goes, “close doesn’t count,” but the story of how remarkably close we did come to enacting the bill does both reflect how very different this Congress was from the O&P vantage point, as well as holding some significant promise that we’ll get this done, hopefully early in the next Congress. H.R. 1530/S. 829 would accomplish four major steps: (1) reiterate, expand and underscore the mandate for CMS to implement the qualified provider/accreditation provisions first established in Section 427 of BIPA 2000; (2) establish the orthotist/prosthetist notes as a legitimate part of the medical record for purposes of establishing Medicare medical necessity; (3) complete statutory separation of O&P from DME; and (4) further clarify the already “bright line” defining off-the-shelf orthotics (and thereby limiting potential eligibility for competitive bidding) to devices that can be used by the patient with ‘minimal self-adjustment’ by “the patient and no other person.” We had some strong winds form behind our legislation this Congress, an uprising of AOPA/O&P enthusiasm that was ramped up with the AOPA Policy Forum in April 2016, and the legislation-writing Congress headed by former Senator Bob Kerrey, which gave all of you the opportunity to actually write the essential bill components-the things you and your patients most need in daily practice! Add to that remarkably strong advocacy by all of our legislation sponsors, and particularly relentless efforts by Senator Chuck Grassley (R-IA) in the Senate and Glenn (G.T.) Thompson in the House, and O&P professionals. Folks in the O&P community itself emerged as leaders in the fight, calling friends in Congress and calling in favors-AOPA Past President Tom Watson, just elected as Mayor of Owensboro, Kentucky has been incredibly vigilant and supportive with his outreach within the powerful Kentucky delegation. AOPA President Michael Oros, was one of several O&P professionals who held events to advance the candidacy of now Senator-Elect Tammy Duckworth. The efforts of AOPA’s capable lobbying team was supplemented by coordination with lobbyists like former Congressman Scott Klug who represents Hanger, and the legislative arms of Ottobock and other manufacturing companies enlisted in the efforts. All of this resulted in a much greater awareness in Congress of our concerns and needs. Our bill qualified as the Triple Crown of what is needed to help pass health care legislation: (1) no one opposes what we’ve asked for; (2) the Congressional Budget Office says it won’t cost the government any money; and (3) thanks to Senator Kerrey’s efforts, even the CMS Administrator, Andy Slavitt said he supports the bill. So, why didn’t it pass this Congress? Medicare changes don’t get enacted as stand alone bills. They end up getting grouped together and they are typically enacted in one or two major bills that move, usually at the end of the Congress. There were two such pieces of year-end legislation. The 21st Century Cures Bill had a few Medicare items attached, but the “rules” were that only things that had already passed in either the House or Senate could be added, and we didn’t fit that criterion. The other was inclusion of our provisions in the final Continuing Resolution (CR) to fund the government. Everyone on the O&P team pitched into a full-court press effort to get into the CR. We ran into a roadblock in getting final sign-off from the Congressional Budget Office (CBO) confirming that there would be $0 cost, that delayed us. But in the end, on Tuesday afternoon December 6, we received CBO clearance, and also received confirmation from Senate leadership that if any Medicare provisions got included in the Continuing Resolution, one or all of our S. 829 provisions would be among them. Later that day, the draft of the Continuing Resolution was released via the House Appropriations Committee, but a decision had been made in the House not to include any Medicare provisions.